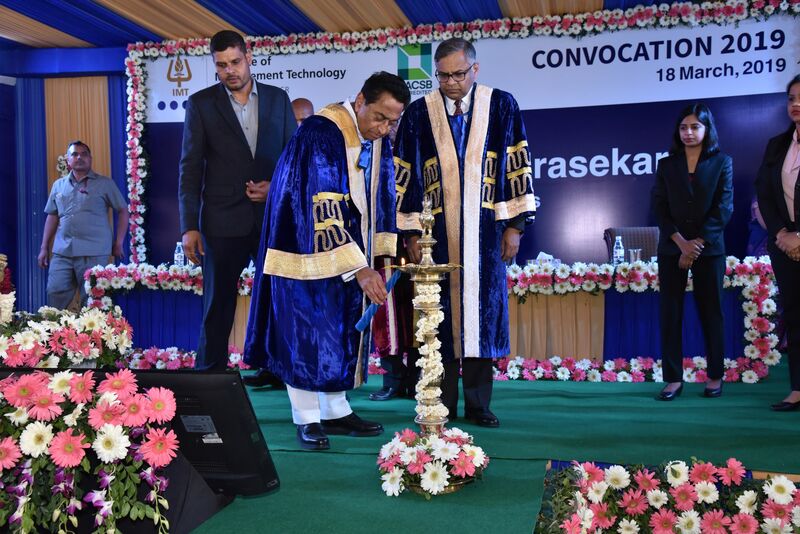 The Convocation 2019 at IMT Ghaziabad saw Madhya Pradesh Chief Minister Kamal Nath and Natarajan Chandrasekaran, Chairman Tata Sons, delivering their address at the ceremony. Kamal Nath, in his speech, said the biggest challenge for management graduates would be to adapt quickly to disruptive technology in a changing world. Delivering the Convocation address, Chandrasekaran said, “Attitude and Mindset, Pressure and Stress and Fair play are the four success mantras. As an employer we have always maintained fair play since the days of inception and relentlessly works in providing transparency to its stakeholders. The PGDM (Executive) is a full-time AICTE approved and AACSB accredited a 15-month program in the nature of an accelerated MBA designed specifically for high-performing professionals with work experience. “You are extremely fortunate that you are graduating from an institute like IMT. We should always have gratitude for what we are blessed with and develop an attitude to progress in whatever you want. With right gratitude and attitude you will be able to achieve altitude,” he added. Chandrasekharan also conferred medals and awards on the meritorious students and distinguished alumni. The ceremony was attended by a large number of students, parents and eminent personalities from the industry. Prof Asish K. Bhattacharyya, Director, IMT Ghaziabad said it was a pleasure to be in the company of talented young minds who have a fresh perspective towards how things should work. “At IMT Ghaziabad, we nurture talent to the best of our abilities and give them maximum opportunities to hone their skills/acumen as future business leaders. This process is not just a learning journey for them, it is for us as well,” he added. “Our knowledge sharing process is always in line with the latest industry trends, changing socio-economic dynamics and latest technologies,” he said. 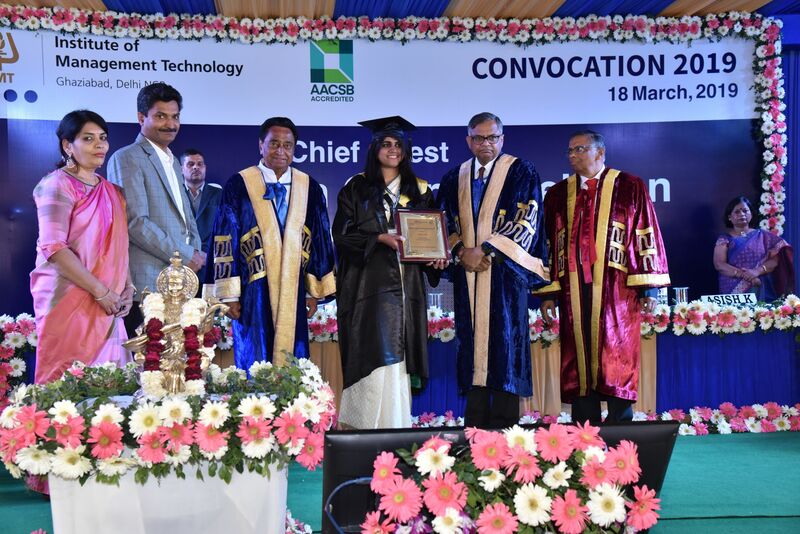 A total number of 762 students (including PGDM Executive and PGDM Part Time students) were conferred with a Post Graduate Diploma in Management at the convocation ceremony. Gold medals were given to the young achievers and toppers. The event also witnessed the announcement of four prestigious awards. Distinguished Alumni Award was given to Jacob T Jacob, Head Print Business (South East Asia and Korea), HP. Every year since 1985, IMT has conferred a Distinguished Alumni Award to their alumni for exceptional contribution to the industry and the institute. Vidyun Goel Director, Toy Bank and Prateek Gupta, Co-Founder and MD, Wadi.com bagged the Young Alumnus Award. The Vishit Jain Memorial Award was given to Ankita Joshi for exemplary all-round performance. IMT Ghaziabad is a top-ranked business school with more than 39 years of legacy. It has been consistently ranked top 10 by various credible ranking agencies like Business Today, Business World, CRISIL, Careers360, CNBC TV 18 etc. It is the alma mater of more than 300 C–suite executives and thousands of professionals serving in leadership positions in the best-known organisations in India and around the world, in key business functions of Sales, Operations, Human Resources, Consulting, Information Technology, Marketing, and Finance among others. The faculty at IMT Ghaziabad keep themselves abreast of the latest developments in content and pedagogy of management education and Executive Learning and Development (ELD).